I am looking for a wetsuit for this summer, for the average summer temps of our lakes around here 60 to 70 degrees it looks like I will need a 5mm wetsuit. If I want to get in the water before June I will need to buy a wet suit for 45 to 60 degree water that puts me in a 7mm wet suit. Can you effectively move in a 7mm wet suit? 7mm thats heavy , take 20 min to get it on! talk about fatigue wow. you definitely should get with a local on this. any chart is gonna add huge margin for total exposure , like "in the water" time. i would say go with 3/5 semidry , to go early before june and see how you feel , definitely will give less wear fatigue than a 7mm! for summer a 3/2 i would think be ample. get with a local rider. Yeah I thougth 7mm would be too much. My old wetsuit is a 3mm but the last time I had it on was 15 years ago. I actually got it on but I could not breath just a little on the tight side, its kind of funney what happens when you get old! I maybe underestimateing my abilities but I plan to spend a lot of time in the water doing face plants. So maybe a 4/3 would do the trick. 3MM and thinner wetsuits are pretty cheep, I can pick up one of these for mid summer. 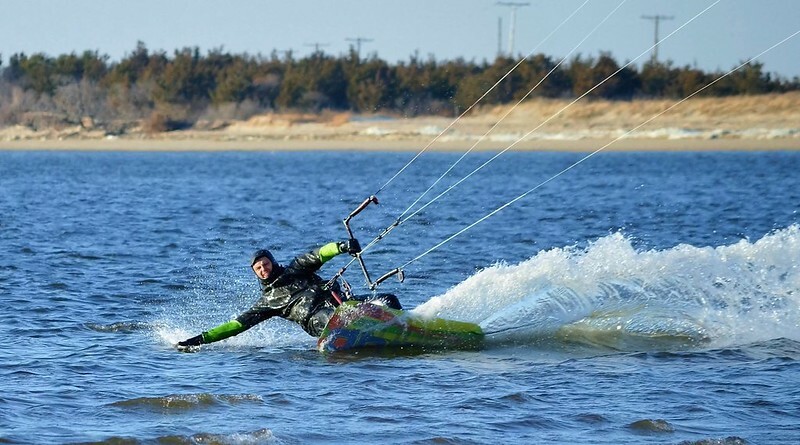 I don't kite on the water but I boogie board a lot in the summer in water temps between 58-66 degrees. I have a 3/2 shortie (short sleeves, short pants) and with that I can stay immersed in the water for 30-60 minutes. Definitely try them on. Suits of the same size fit differently from diff manufacturers. Pay attention to the fit at of the neck, armpits and crotch and make sure it its not loose where it terminates at your arms and legs. The zipper must be in the back. Its way more difficult to take a wet suit off that zippers in the front than you think it should be. I was riding for about 6 hours .... and I was cooking inside . I did many stops and dip my self in water to get cooler . I have a Hyperflex 5/4/3 AmpIII and 5mm Xcel boots and gloves and its way too hot, even when it's actually snowing. Sometimes we forget about the body heat factor from the activity that we are doing. I don't ride soft water, but when I started riding frozen lakes I dressed like I would normally dress for winter. I quickly found out that I was always too hot and had to completely rethink the way I dressed. I would think the same goes for cold water, your doing an activity so your bound to stay slightly warmer than if you were just standing there.